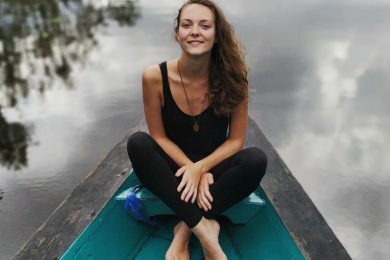 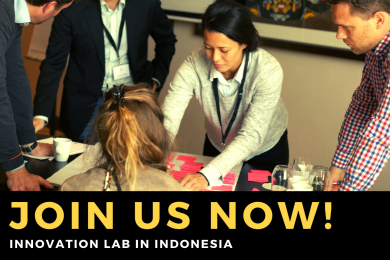 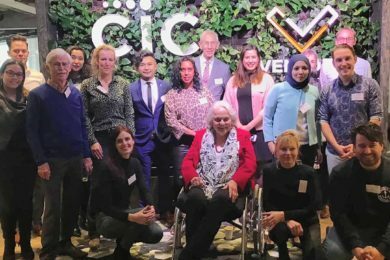 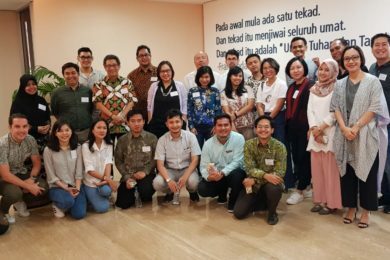 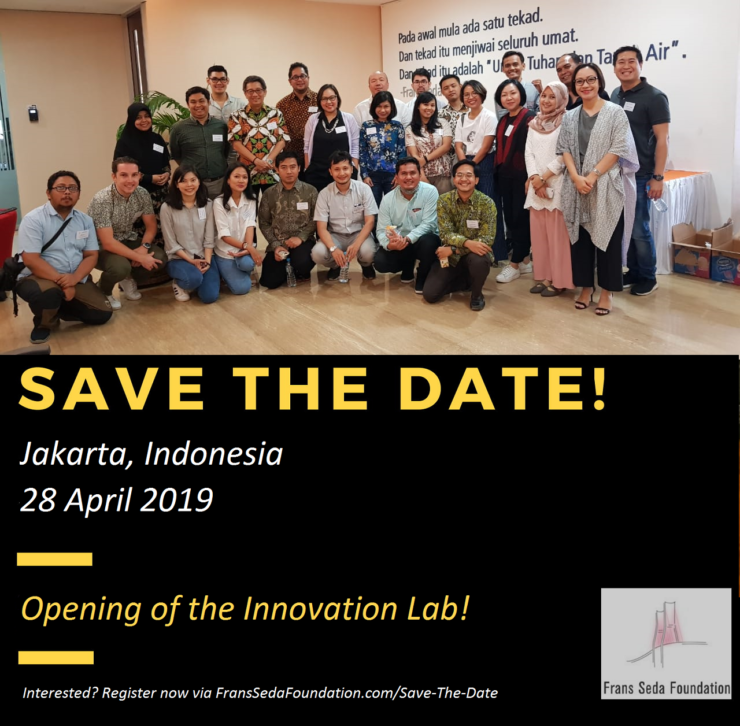 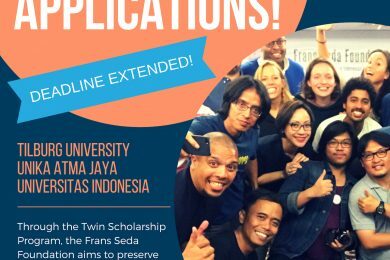 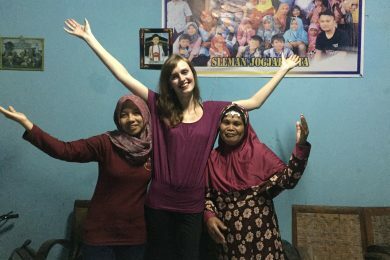 On Sunday 28 April, the Frans Seda Foundation would like to invite all FSF alumni and others who are interested to join the official opening of the FSF Innovation Lab in Jakarta. 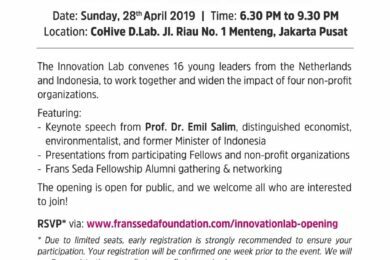 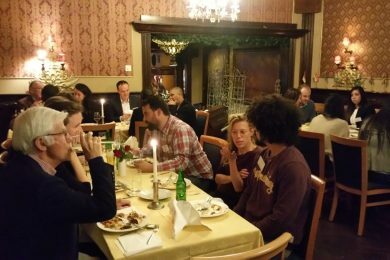 During this gathering, we would like to give all Frans Seda Fellows the opportunity to (re)connect with old and new friends while introducing our new program the 2019 FSF Innovation Lab to the public. 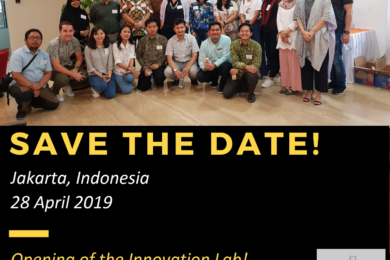 We will share more information about the location and program in the weeks to come. 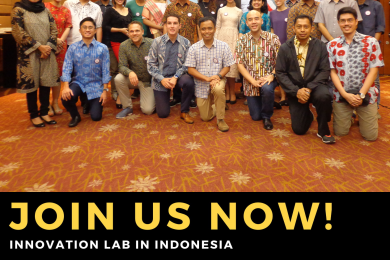 We are excited and are looking forward to meeting you all again in Jakarta!